All the Sherlock Holmes Murder Mystery Dinner Info and Links You Need Below. We have Sherlock Holmes Victorian Gentlemens Attire. 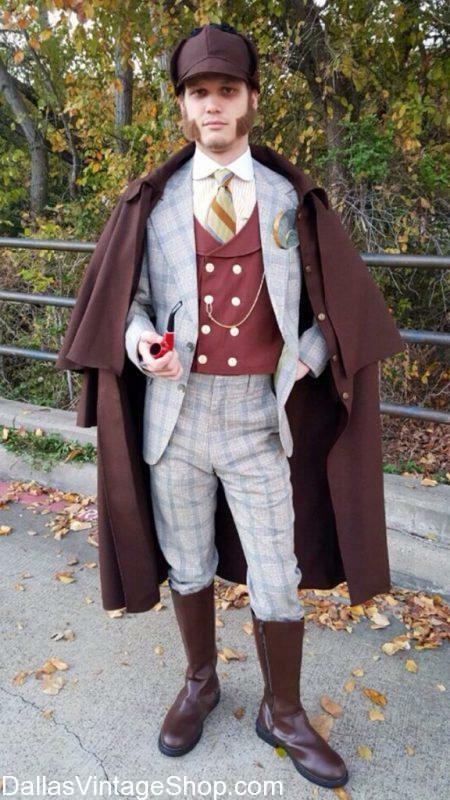 We can put you in any Victorian Mens Characters Costume. From head to toe with all the Accessories that are Period Correct. This Sherlock Holmes Victorian Cloak outfit is only one version of Sherlock Holmes we can help you create. Who do you like? Christopher Lee, Basil Rathbone, Michael Caine, Peter Cushing, John Berrymore, Robert Downey Jr., Ian McKellen or others? Bring us images and you’ll be amazed what we can do for you.